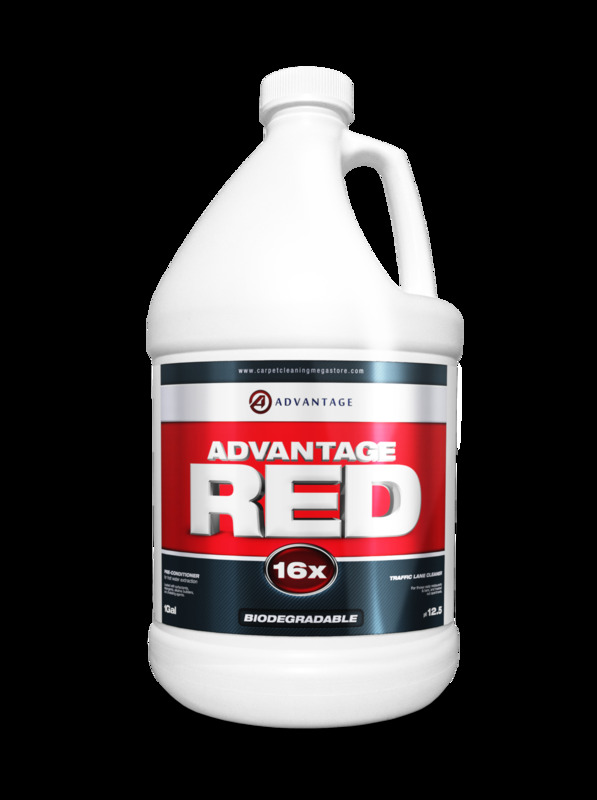 Advantage Red is our strongest and most powerful commercial traffic lane cleaning pre-spray. It is loaded with surfactants, detergents, alkaline builders, and chelating agents to pre-condition the dirtest carpets to make your job easier. Advantage Red was made for those nasty restaurants and bars, and trashed out apartments. Advantage Red is a pre-conditioner for hot water extraction! We recommend using our neutralization rinse, Advantage Rinse Away, with this pre-spray! Advantage Red is our number one selling liquid commercial pre-spray. We guarantee you will like this product!